In order to deliver a high quality lot of products, we make use of the best available resources and raw material. Also, we make sure that the material is sourced from the genuine vendors only. 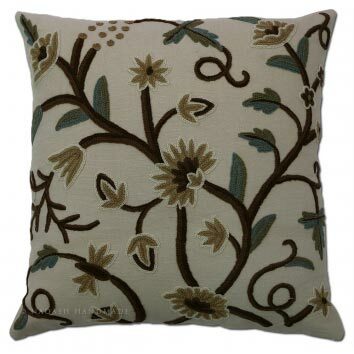 Being a prominent name in this area of operations, we, as a Supplier, bring forth qualitative array of Grapes Cotton Crewel Wool Embroidered Cushion Cover.